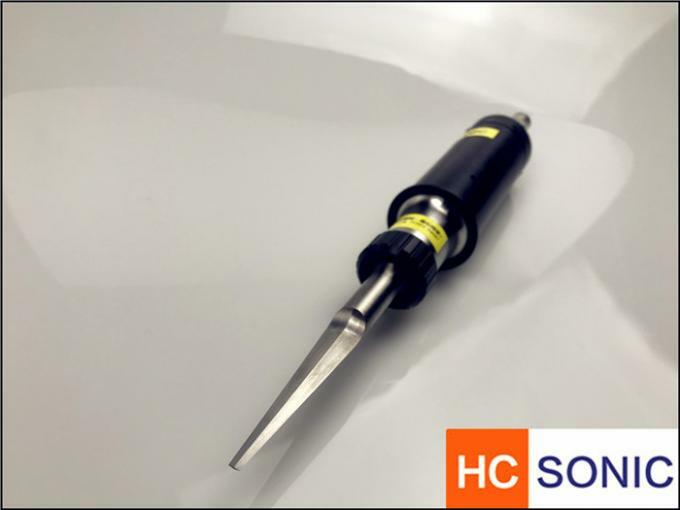 This new 40Khz ultrasonic cutter user conjoined blade with high amplitude. We have more than 10 types ultrasonic cutter , I need your application information. we will recommend you suitable equipment depending on your applciation. If we can't confirm with your material , you'd better send us sample for test. All our request is for a best solution. We hope you get the perfecr solution from our company. Ultrasonic cutting equipment can be mounted on robot and machine for high-speed ultrasonic cutting, trimming, deburring and chamfering applications. This technology replaces waterjet, laser cutting, hard tooling and manual trimming or routing methods. Whatever your current approach, EcoTrim ultrasonic technology can reduce operating costs and improve trim quality. Ultrasonic Cutters can also be attached to automated machinery arms. Although they may not be familiar to you, they play an active role in the manufacturing processes of various industrial products which we use daily.cutt-welding of thermoplastic or thermoplastic coated fabrics and fleeces. Thereby two layers one obove the other are cut and the edges are welded together at the same time. 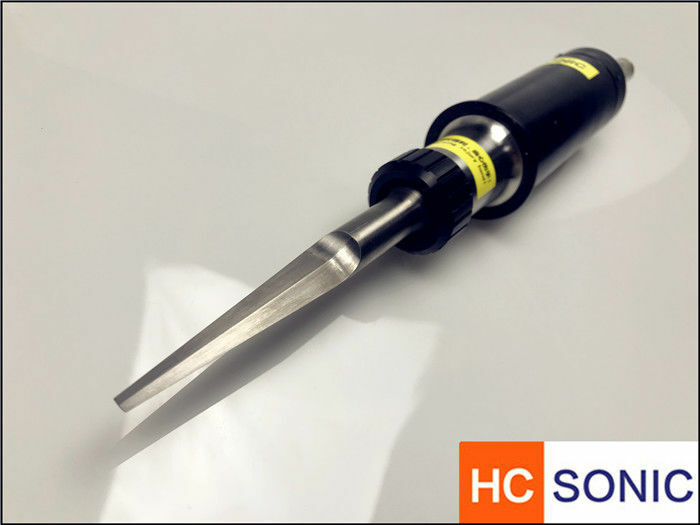 HC-SONIC cutting systems come in 20,30, 35, and 40 kHz frequencies. Where aggressive cuts are needed our 20 kHz ultrasonic generators and tooling are a great solution. If a smaller footprint or lighter payload is needed our 30 and 40 kHz cutting systems are a great fit and provide a quiet operating environment. 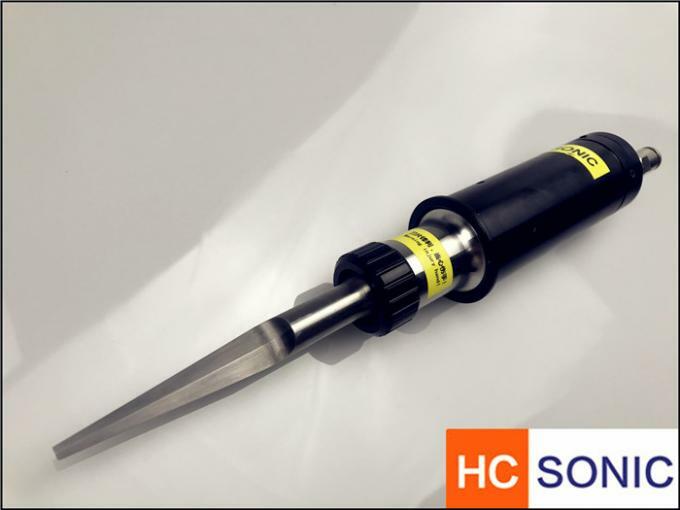 Our ultrasonic horns designed to work with replaceable carbide cutting blades is a proven solution for aerospace materials that would otherwise not be feasible with standard ultrasonic tooling materials.